The budget cuts $213 billion to SNAP over 10 years, cutting or reducing meals for millions of low-income Americans. The budget eliminates the Commodity Supplemental Food Program (CSFP), a loss of more than 145 million meals for seniors. The budget eliminates the Corporation for National & Community Service, which oversees the AmeriCorps program. Last year, more than 8,500 individuals served at non-profits in Ohio working on programs to alleviate poverty. Learn more about the President’s budget proposal and its effect on food banks. Every five years, Congress reauthorizes the Farm Bill. This important legislation sets funding and regulations for many programs, including federal nutrition programs. Food banks advocate for resources to help low-income Americans access enough food to meet their needs through programs such as SNAP, TEFAP, and CSFP. Learn more about the Farm Bill and its effect on food banks. 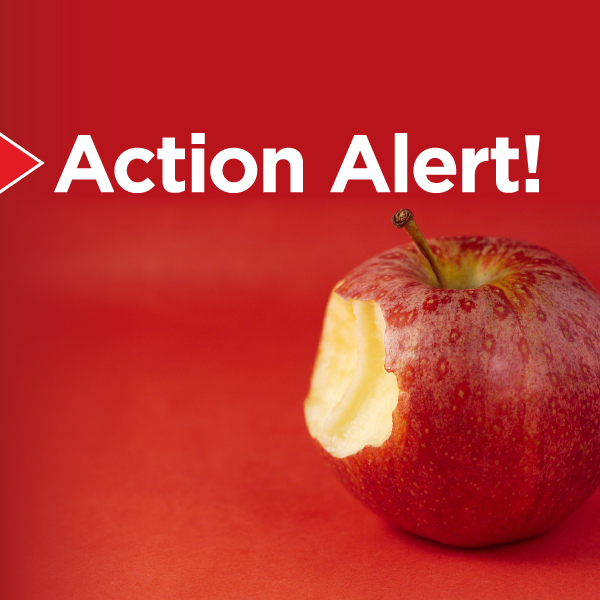 INDIVIDUALS: Contact your elected officials to express support for federal nutrition programs. Use this form to encourage your representatives to visit a local food bank and learn more about the issue of hunger. ORGANIZATIONS: If you represent an organization, such as a network partner of the Foodbank, join us and add your name to Feeding America’s sign-on letter. Read the letter and sign-on.